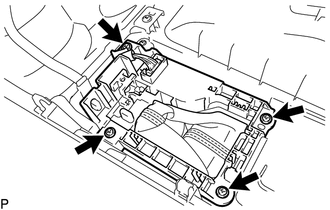 (a) Using a screwdriver with its tip wrapped in protective tape, detach the 2 claws to remove the shift lock release button cover from the console upper panel sub-assembly. (a) Remove the 4 screws and shift position indicator from the console upper panel sub-assembly. 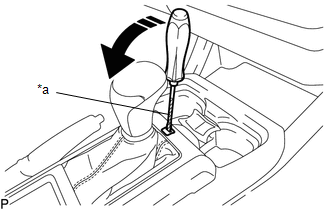 (a) Detach the clamp to separate the indicator light wire sub-assembly from the shift position indicator. 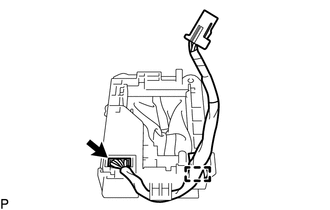 (b) Disconnect the connector to remove the indicator light wire sub-assembly from the shift position indicator.